A broken heart makes you feel as if you could die. I used to place heavy emphasis on the word “feel” in that statement, but with the recent advance of scientific research and the advocacy of medical experts, it’s fair to conclude that yes, people actually can die of a broken heart. Takotsubo Cardiomyopathy, otherwise known as Broken Heart Syndrome, is a condition that follows extreme emotional trauma or distress. The exact cause is inconclusive, solely based on the notion that it’s almost impossible to understand what poses as a trigger for trauma in each, different human being on the planet. However, it has been scientifically proven that are physical implications of the heart that fatally affect those who cannot cope with the loss of a loved one, a relationship ending, or the breakdown of an alternative, meaningful circumstance. Broken Heart Syndrome is indeed real and has been primarily linked to those with histories of heart disease, clinical depression, and mental health disorders. So, what exactly happens to the heart after it experiences this life-changing state of trauma or distress? The heart strings are the anatomical pieces that are affected by extreme heartbreak. The strings have the ability to break and if they do so, the shape of the heart’s left ventricle takes on a different form. Once this happens, the heart is unable to effectively pump blood into the aorta, leading to cardiac arrest. Broken Heart Syndrome is also likely to induce a heart attack and will rear its ugly head in the symptoms of chest pain, low blood pressure, and shortness of breath. Now that we have this information, phrases such “I died a little inside” and “You scared me to death” come with a new level of sincerity. 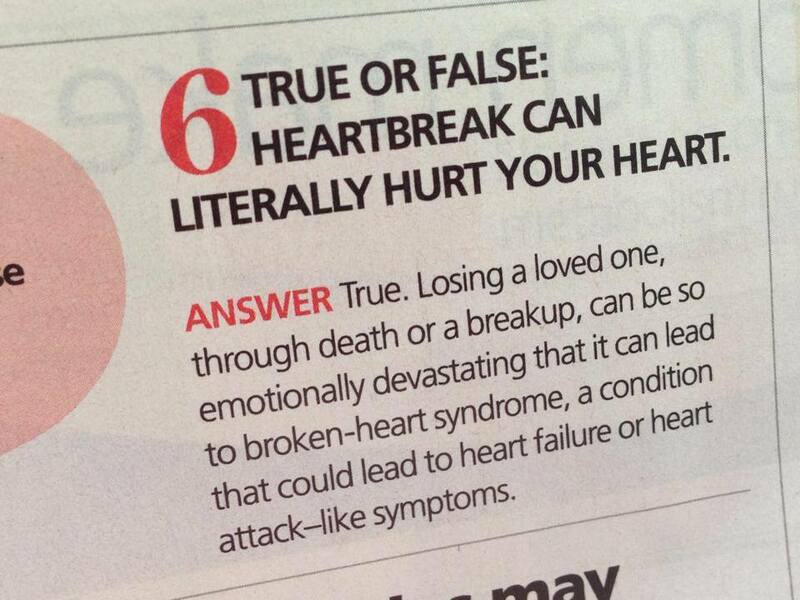 There have been 11 documented cases in history where people have undoubtedly died of broken hearts. 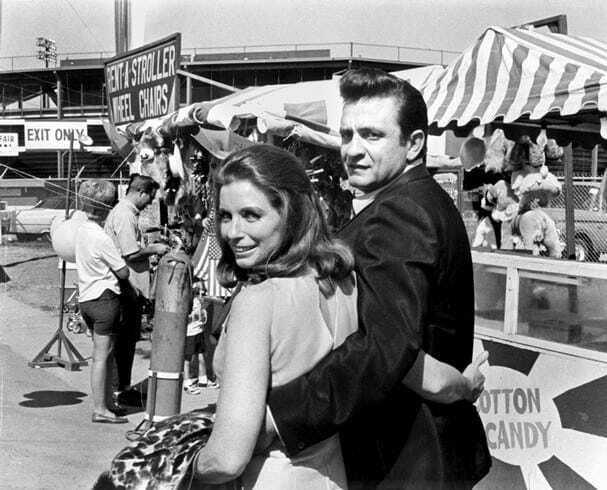 One of the most famous examples of dying from heartbreak was that of Johnny Cash after his wife, June Carter, passed away. In 2003, the folk-singer died of heart complications and was put to rest by her husband. Johnny was painstakingly devastated by the loss of his wife, who he had chased, begged, and pleaded to marry him during the 1960’s. He proposed to her for what seemed to be the millionth time during a stage performance in Ontario, Canada and they were married for the next 35 years. Johnny died 4 months after June while receiving treatment in the hospital for his diabetes. In the few months between their deaths, Johnny’s health rapidly deteriorated. 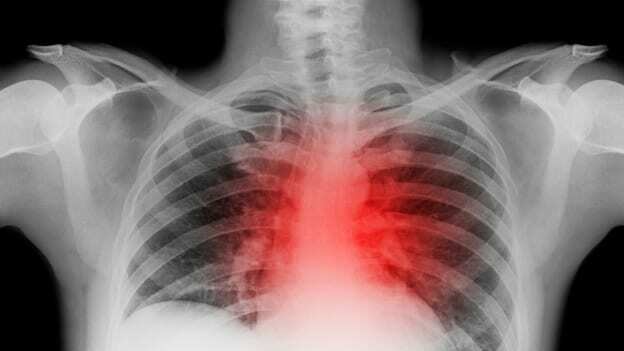 Those with pre-existing conditions are more likely to succumb to Broken Heart Syndrome. The most recent case of fatal Broken Heart Syndrome was reported after the deaths of Carrie Fisher and her mother, Debbie Reynolds. On December 23rd, 2016, Carrie Fisher went into cardiac arrest while on a flight to Los Angeles from England. She was on life-support for 4 days, before dying of heart on December 27th. The world was shocked by the untimely passing of the Star Wars icon but it was her mother, legendary screen actress Debbie Reynolds, who struggled more than most. Reynolds passed away one day after her daughter while making funeral arrangements with her son, Todd. She suffered a stroke, after sharing with her son that she “wants to be with Carrie.” In the case of Debbie Reynolds, her grief was too extreme to cope with. Broken Heart Syndrome is not expected to take the life of every person who attempts to endure the end of a relationship or experiences the loss of a loved one. However, in a sovereign level, it does pose a great threat for those who have prior mental health problems or live with a physical health ailment. It’s important to practice mindful thinking, make positive lifestyle choices, and learn to cope with intense distress that is often experienced in life, regardless of whose life it is.